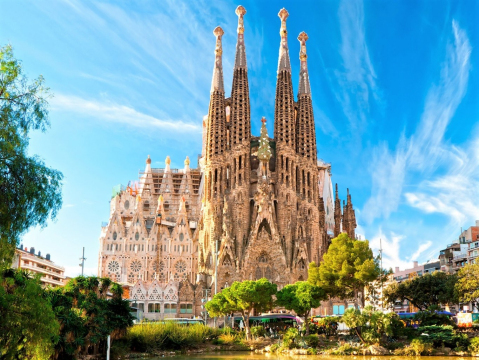 Designed by Antoni Gaudi in 1883, La Sagrada Familia is one of Barcelona's top attractions. This UNESCO World Heritage Site has been under construction for over 100 years of controversial history. 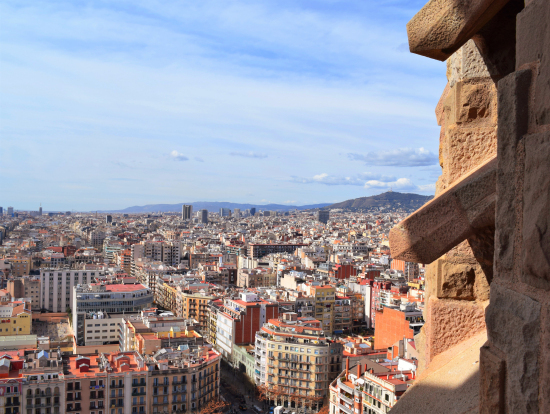 Love it or hate it, the church and its distinctive silhouette is a must-see icon of Barcelona. 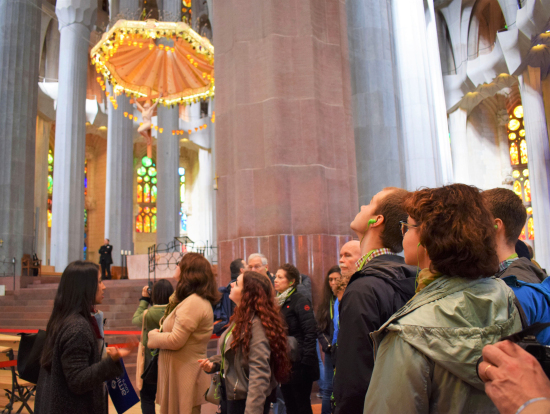 Avoid long waits with Skip the Line tickets, join a small group tour or save on visits to other Gaudi masterpieces with combo tickets. Here are our top recommendations to help you make the most of your visit. Really interesting sites and guide was very good. There was some confusion with our tour (booked through another agency) as while we'd booked a tour including the Sagrada Familia, it was closed that day (holiday). The tour guide arranged for a bus to pick us up, and accompanied us to the main office where we were booked for a tour the following morning. This worked well as we were boarding our ship that day, but had plenty of time. The only somewhat negative occurrence was how she dealt with 2 people who had booked the tour but waited at the wrong location for it to start. When they found the tour and wanted to join, she said she was not allowed to have them join us. She spent time explaining it to them, talking to the office and finally with encouragement from others, let them join in. This could have been handled better and we feel there is no need for such a rigid policy. 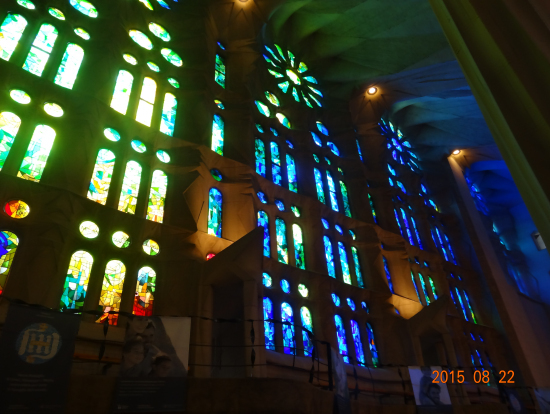 We enjoyed Parc Guell but La Sagrada was the star! Very impressive!! Highly recommended...particulary the "front of the line" aspect. David and Alexis were both excellent and knowledgeable tour guides. Loved the fact that we were at Guell Park and Monserrat Monastery before the crowds. The clouds lower than the Monastery and the sun above made for a spectacular morning. In our free time , we rode to the top of the mountain for some amazing photos and views. Could have spent all day wandering the trails. 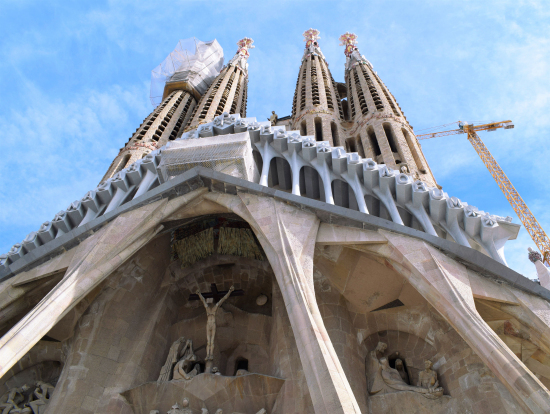 The tour of the Sagrada Familia was brought to life with David's commentary. We have a much better understanding of the church than if we had just wandered around on our own. David took us to a local cafe for a 3 course traditional lunch which was delicious and great value for money. The whole Super Saver tour was the best value for money tour that we had ever seen. Fantastic 2 days. Park Guell is an absolute must, a great introduction to Gaudi's beautiful and interesting works, a area of calm away from the heart of the city. My 13 year old loved it too and even commented that the two houses at the exit to the park were like gingerbread houses before we heard that they were inspired by Hansel and Gretel. 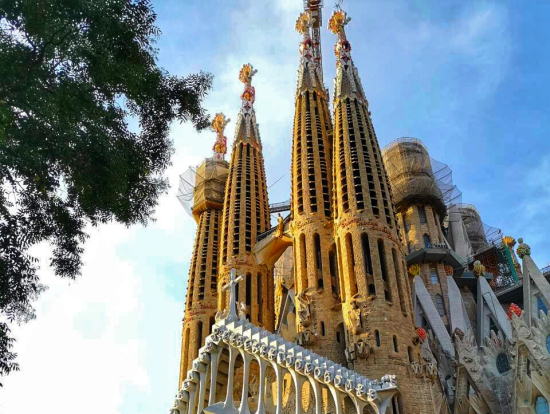 Sagrada Familia is more for the adults, but very impressive and again a Gaudi masterpiece not to be missed. Do take drinks and snacks around with you as it is a lot of walking and not a lot of time to grab any. The souvenir shop where you meet has the nicest quality of all the Gaudi inspired trinkets that you can buy all over the city, an Alladin's cave.You can also buy rain ponchos there if it's raining. Sansha or Sasha showed us around Montserrat today. She has so much energy and her excitement is definitely contagious! And she really knows her stuff.2 different tours with Amigos Tours and the only negative is the exhaustion! They miss nothing! Choose them with Viator or City Discovery and you won't regret your decision! For all you lucky people who are heading to Barcelona make sure you use Amigos Tours! If you get Francisco you are in for a real treat! Parc Guell and Sagrada Familia made more real with him as guide. Big hint if you are taking a taxi to Parc Guell tell them the entrance at Placa Natura!!! The super saver price is a great price for the 2 day excursion, and the places we visited were well worth it. I would highly recommend it! The only drawback, is that it was, at times, difficult to hear the guide as those who did not wish to hear it in our spoken language would talk in their language to each other at the same time as the guide. While the company can not be held responsible for the actions of others, it would behoove the company to separate the groups according to their native language. 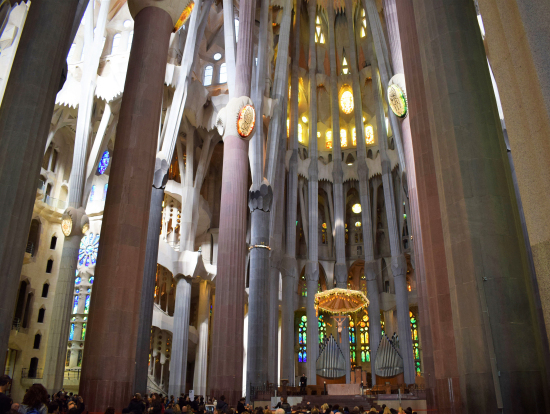 Using headsets would also be another solution as that worked well while we were at Sagrada Familia. Fast track ticket worked perfectly but I wished I had booked the tower tour. Sagrada Familia is fascinating and although busy, did not feel too crowded. Impressive forest of columns and roof inside church and beautiful light effects through stained glass. Nativity sculpture by contemporary lovely (especially shepherds) and very moving passion sculptures from 1998. 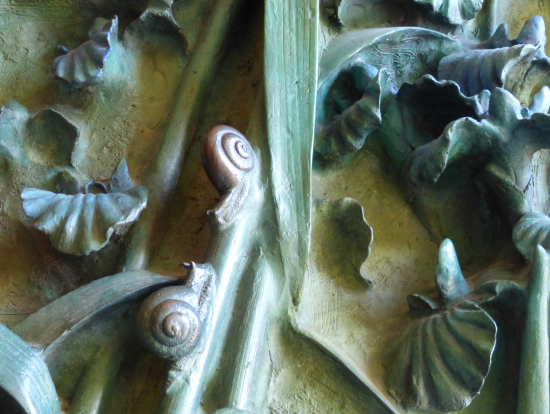 Particularly noticeable however are the metal doors with carefully observed and depicted insects and flowers by Gaudi. When we decided to do this tour, we had limited time, and needed to make sure we 'skipped the line'. However, it's more than just avoiding queues - there is so much more to know about the history and background to this masterpiece which you just wouldn't get without a guide. Local knowledge is priceless when you have a limited window to do the research and get a full understanding of the genius in this amazing building. This was an excellent combination of tours. Both days started early(6:45 and 7:45) but worth it to avoid the queues. The Park Guell/Sagrada Familia day was particularly good. Our guide,Silvia,was excellent. Just one suggestion. As the Park Guell/Sagrada Familia us a longish day(about 7 hours) we would suggest that there be a 40 minute break for lunch after Sagrada Familia instead of twenty which was not enough time. Great tour, full of interesting tips for the Barcelona visitors. Javi, our tour guide was very knowledgeable, and gave us in a real fun way a lesson of the history and the social economy of the city. The tour took us to much more places than I expected. Do this tour and you don't need another city tour. Monserrat is a Must Visit. Amazing tour and a highlight of time in Barcelona. The tour guide made effort to make this tour memorable and he achieved that 100%. As with other tours organised through City Discovery, this was well organised and presented by an obvious excellent understanding of the subject. Well one and highly recommended.